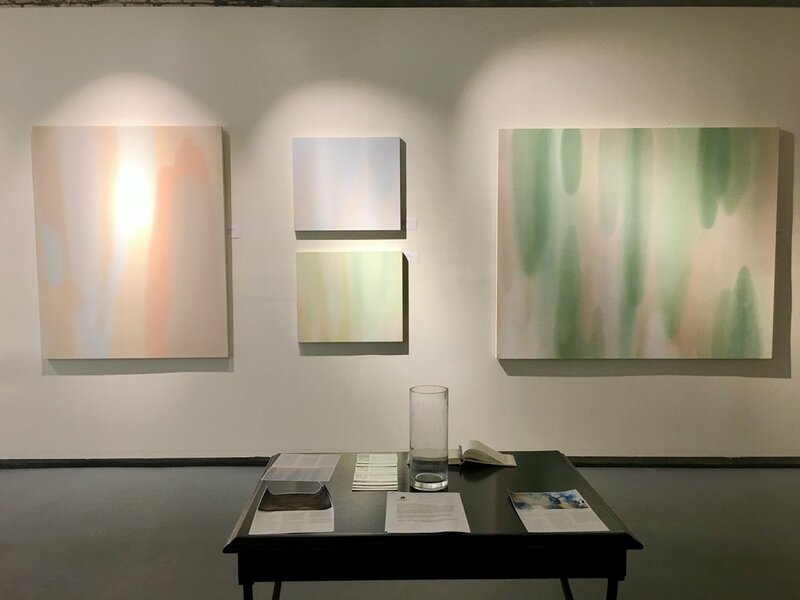 Here are installation images of From Light to Shadow in at Claire Elizabeth Gallery in New Orleans. The show closes on Saturday, May 27th. Please see the Pour Series gallery in the Portfolio section for images of specific works. For inquiries, please contact claireelizabethgallery@gmail.com or me at asfenlon@gmail.com. Thank you! I am pleased to present Washed Ashore [2016, 72 x 60 inches, oil on canvas] in the group exhibition Houseguests at Atelier Newport in Rhode Island. The show opens May 13 and runs through June 25. Here are some photos of the exhibition. Please join us for the 6th Annual Creative Mischief exhibition at the National Academy Museum & School opening Thursday, May 18th from 6-9pm. This historic space will be transformed by the vision of the National Academicians, faculty, alumni, and students. Creative Mischief will debut over 100 works representing a broad spectrum of artistic disciplines. Subjects range from enduring concepts of beauty, transformation, and truth to temporal issues of social injustice, and the political turmoil of today. As a former student, I am delighted to present my painting Magic Hour, 2016. The exhibit will be on view until June 13. 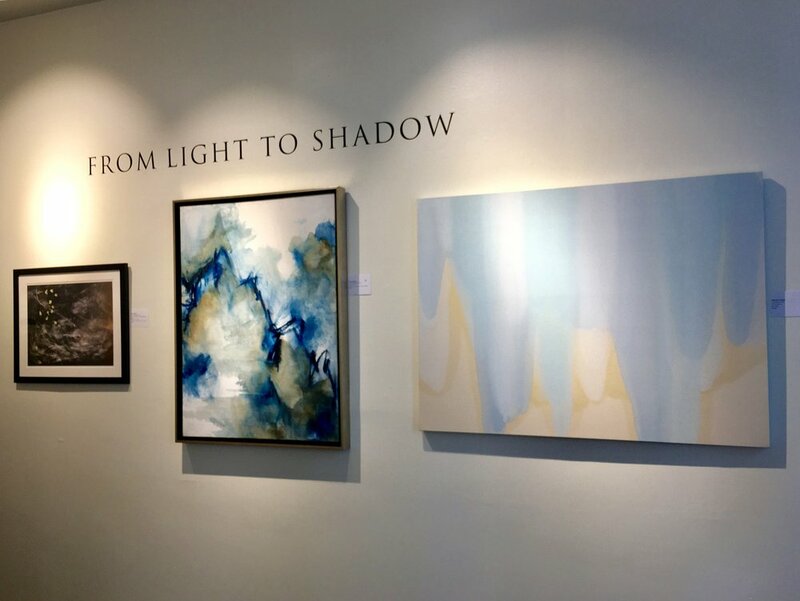 Please join me for the opening reception of From Light to Shadow at Claire Elizabeth Gallery in New Orleans on Saturday, April 22, from 5 to 8pm. This will be my second exhibition at the gallery. I will be presenting seven new paintings (including three large-scale paintings created in New Orleans) and several small framed studies. 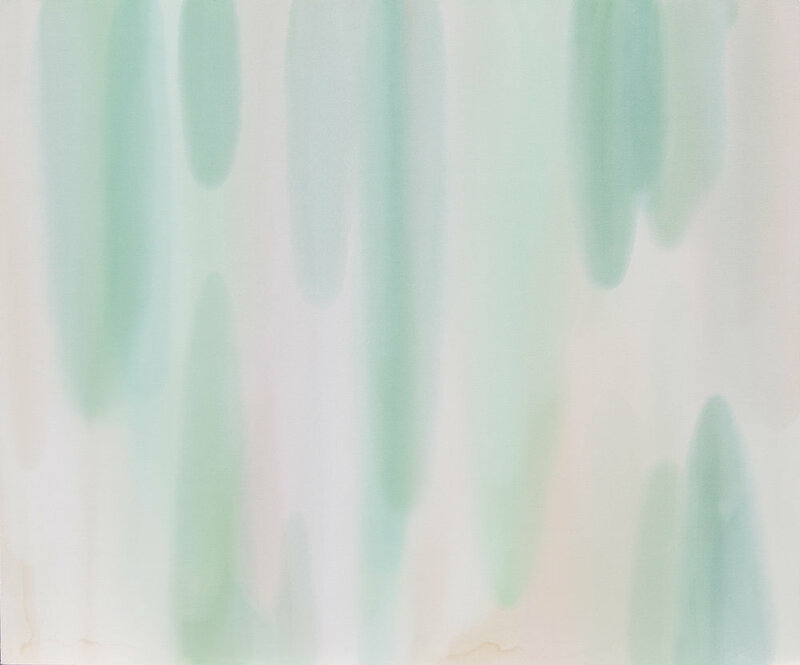 The show also features work by Kristin Eckstein and Marcy Palmer. To read the full press release please click here. I will be posting the new Pour paintings in the portfolio section of my website soon, and images of the show here on the blog once it's up. Stay tuned! Washed Ashore, 2016, Oil on canvas, 72 x 60 inches. 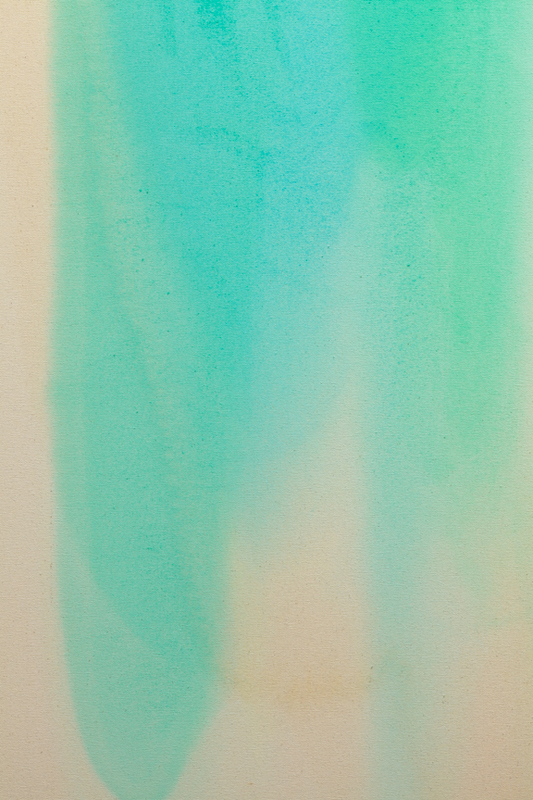 I have just completed two new large scale paintings, Washed Ashore and Magic Hour. Washed Ashore will be shown at Atelier Newport in Newport, Rhode Island this spring. Details to come. 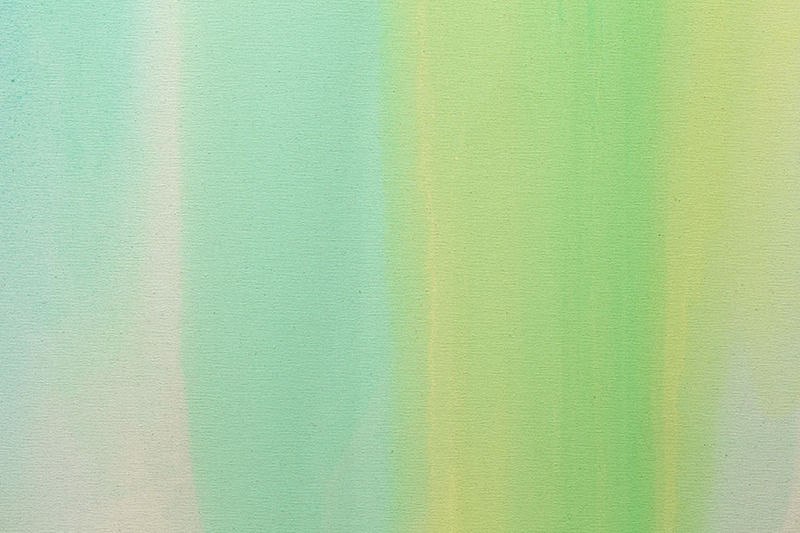 Magic Hour, 2016, oil on canvas, 72 x 60 inches. Big Blue Pour at Atelier Newport. I am pleased to announce that my paintings are currently being presented in two venues in Rhode Island. Atelier Newport, a new gallery, is now representing my work and I have piece in Blanc de Blanc at the Jamestown Art Center. If you are there this summer, please stop in! More details below. 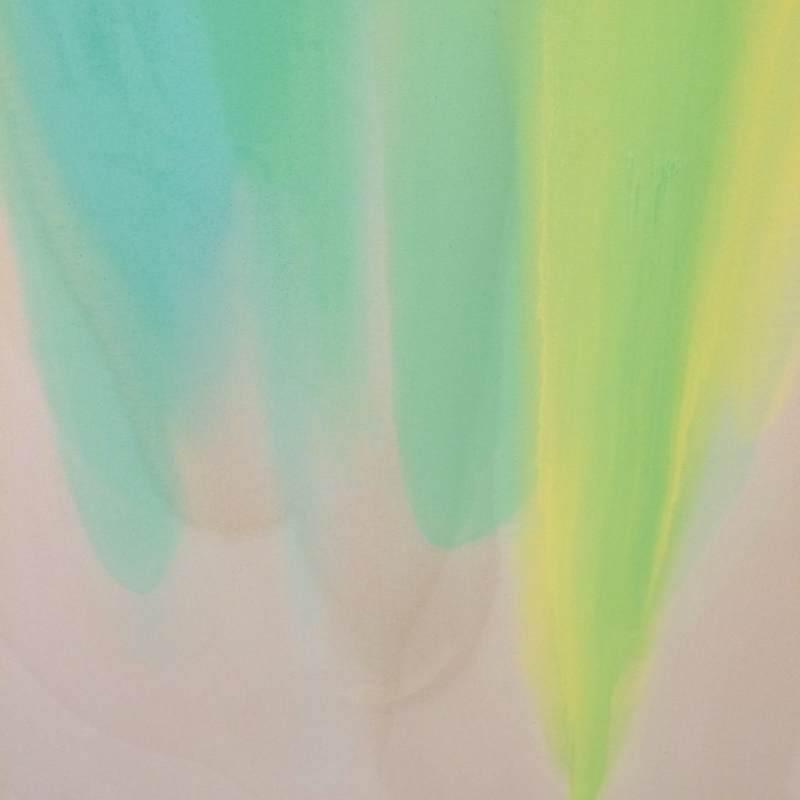 White on White Islands is being shown at the Jamestown Art Center. Please save the date! I am thrilled to announce that I will be presenting several of my pour paintings for the first time in New Orleans (my hometown) at the Claire Elizabeth Gallery March 24 - May 5, 2016. Verdant Pour & Embrace in Creative Mischief at the National Academy Museum, New York. Thank you to everyone who came out to see the Creative Mischief exhibition at the National Academy Museum in New York this May. The exhibition was a huge success with an attendance of 4,500 patrons over 9 days and more than 3,100 at the opening reception alone! 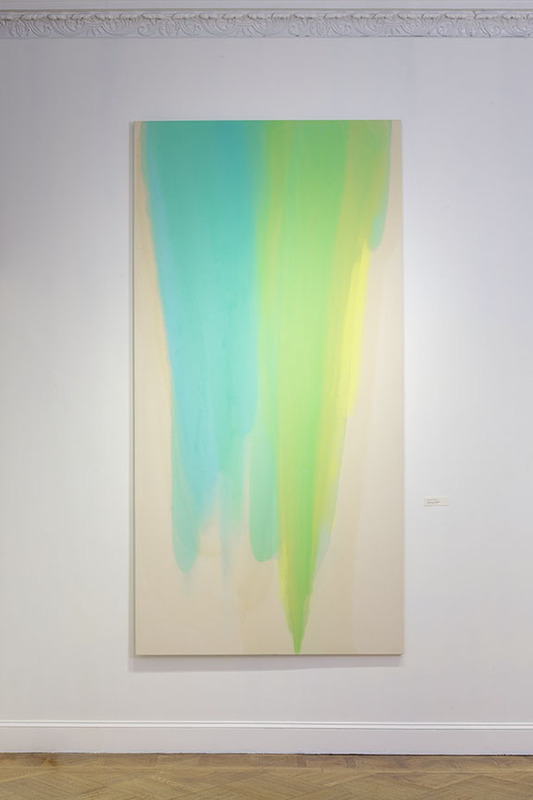 Here are some professional images of my painting Verdant Pour & Embrace as well as some candid shots from the opening reception. Photo credit for above photos: Jeanette May. 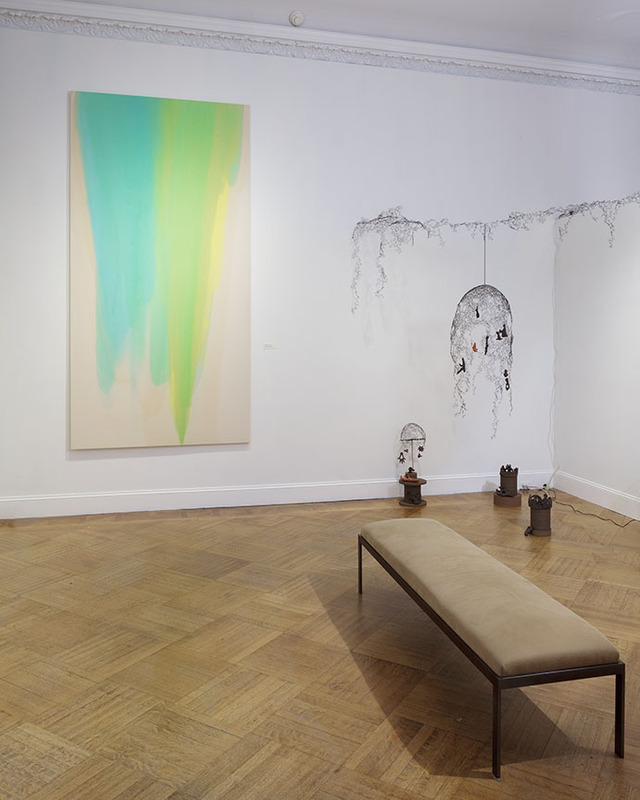 Other works, from left to right: Michele Grassani's Disney's in the today's society and Yuko Uchida's Playground. Michele Grassani's Mickey Mouse Heartbreaker in front of my painting. From left to right: Carolynne Fromme's Figment of Your Imagination; Yuko Horiguchi & Nami Nagakura's Mabataki-San (Ms. Bink); Cristina Avello's Finally Silence; Melanie Hulse's Hive. Eri Honda's Fly in the Sky.